You can use this designs to send cards or invitations to your Family, friends, etc. If you are looking for new ideas or inspiration, be sure to check Studio Ilustrado's social media. 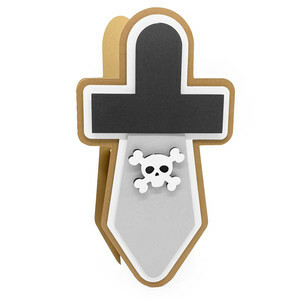 @studioilustrado How to assemble the Pirate Sword Card by Studio Ilustrado.